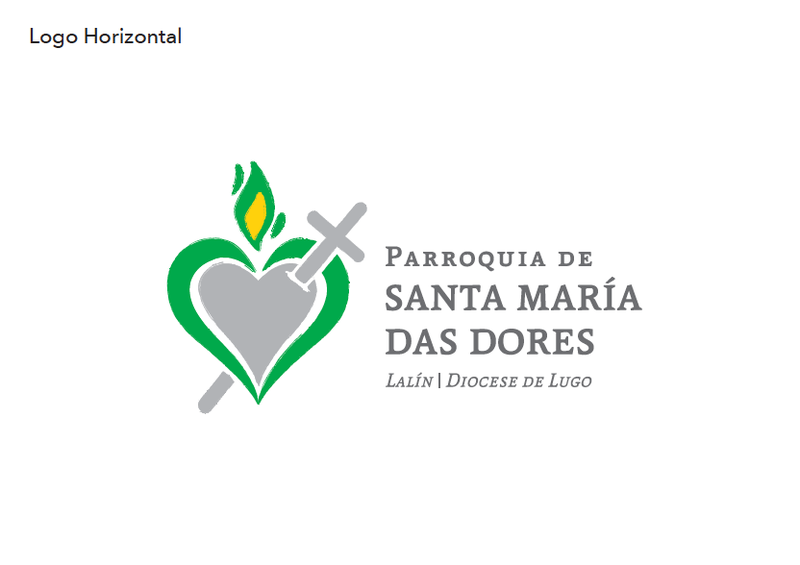 CLIENT: Diocese of Lugo, Galicia (Spain). 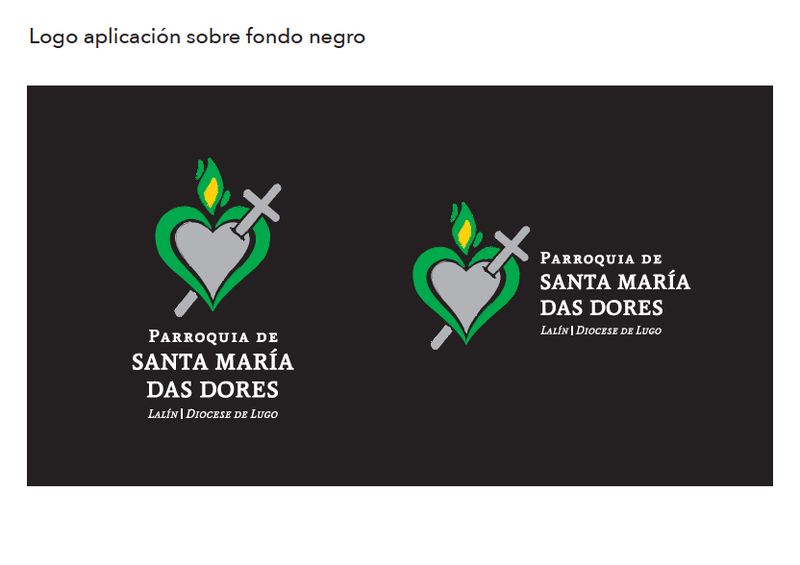 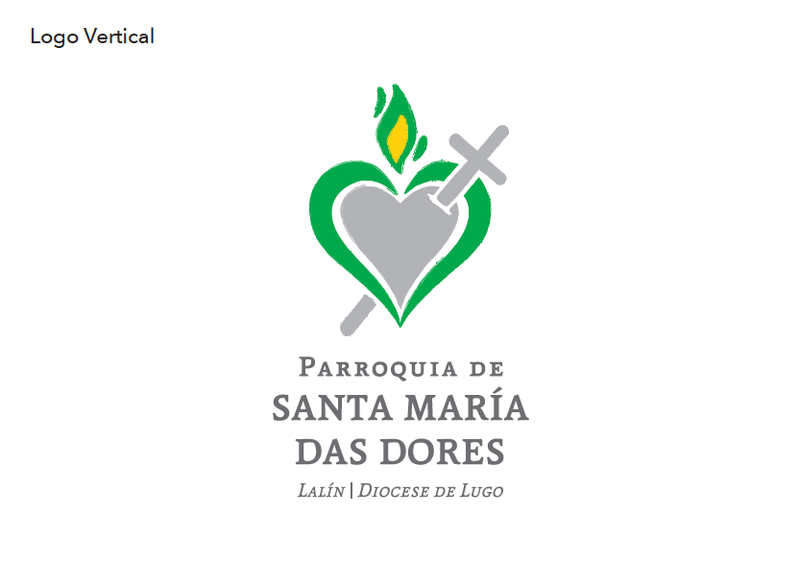 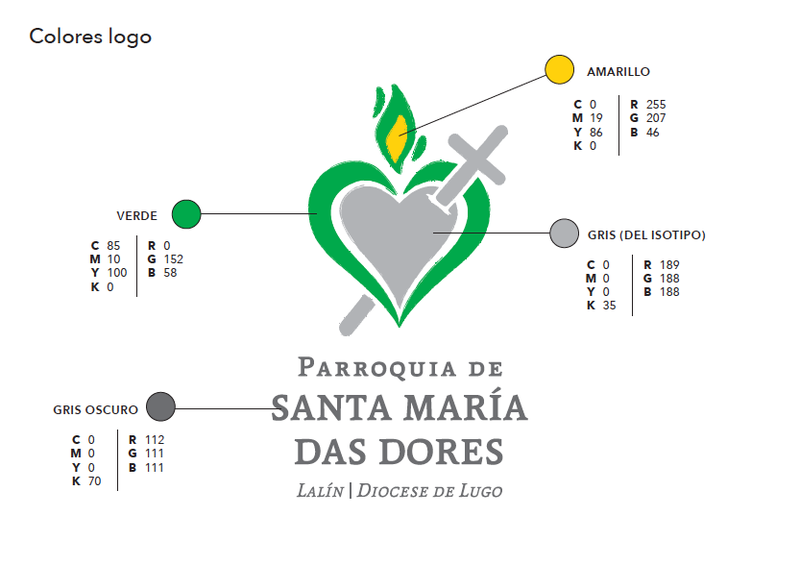 PROJECT: Brand identity of the Maria Das Dores Parish, Lalín, Diocese of Lugo, Galicia, Spain. 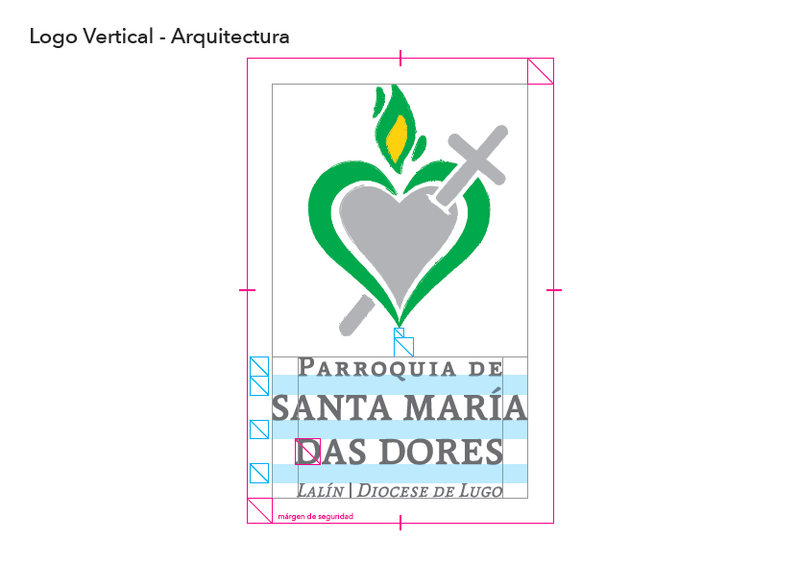 Preparation of the brand manual. 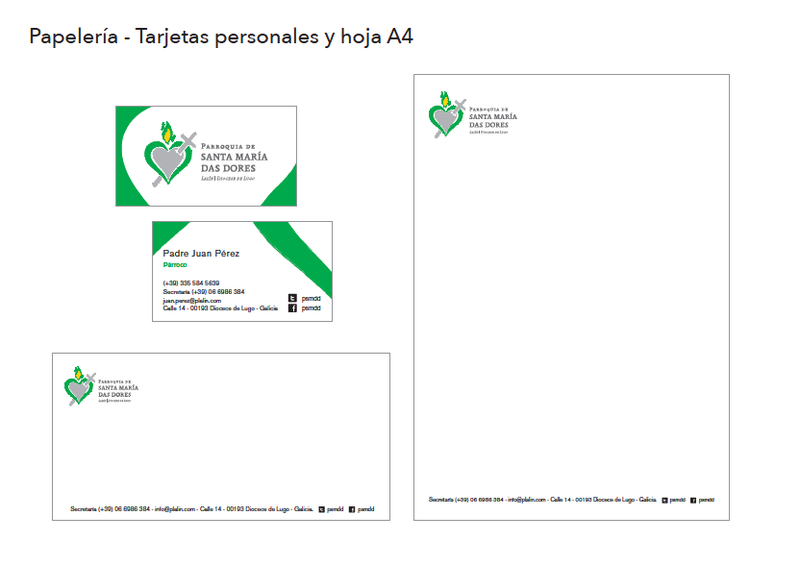 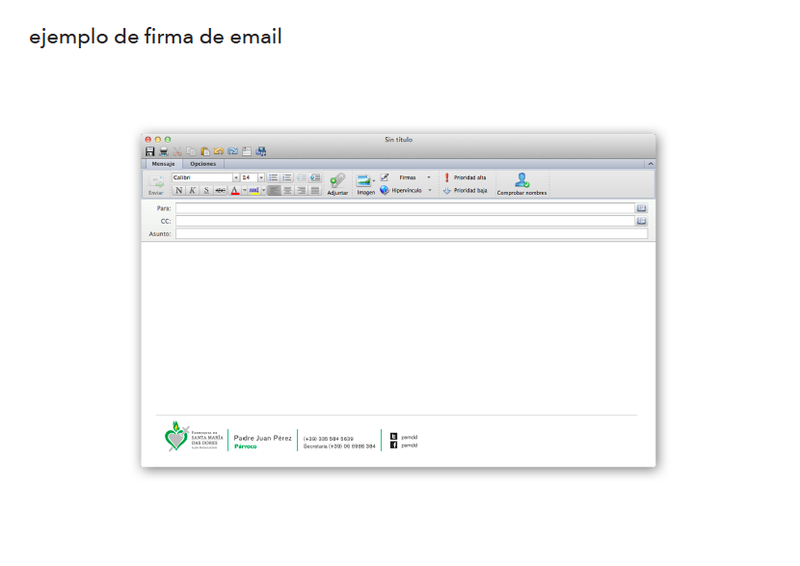 Stationery, corporate cards and emailing signature. 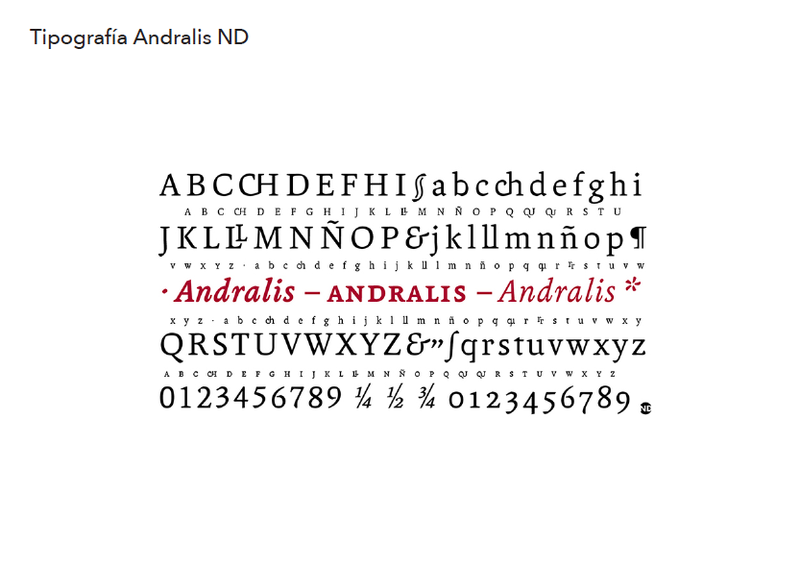 555 California St. Suite #4925. 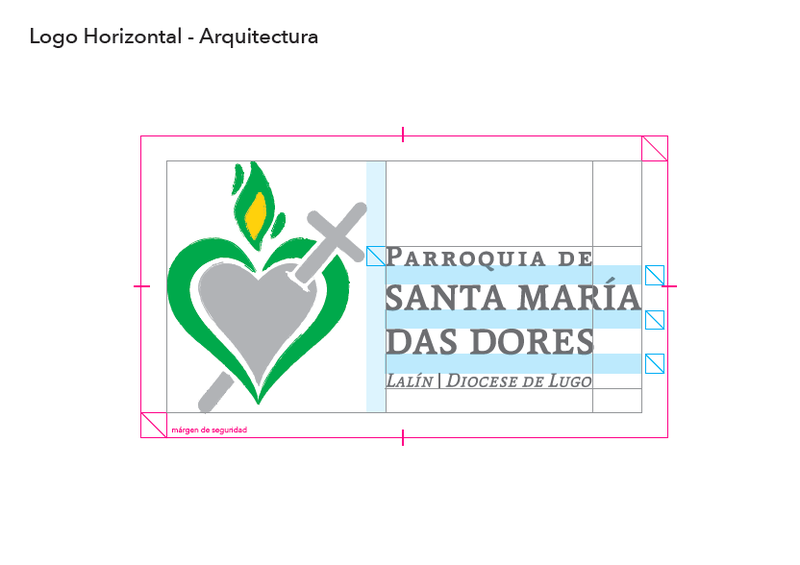 © La Machi, 2019 AMDG.